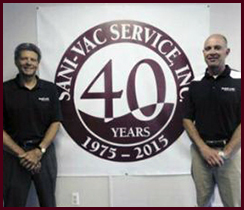 Established in 1975, SANI-VAC Service provides high-quality indoor air cleaning services, including HVAC units, air duct, and kitchen exhaust cleaning for commercial, industrial, and institutional organizations. We offer many heating and cooling cleaning services including air duct cleaning, ventilation cleaning, coil cleaning, HVAC cleaning, commercial kitchen exhaust degreasing, cooling tower cleaning, and ductwork inspections. 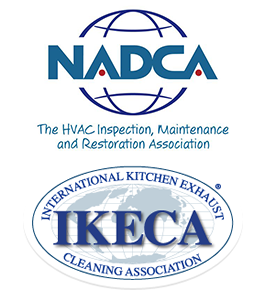 We are committed toward the improvement of indoor air quality by working together with our clients and professionally trained staff. 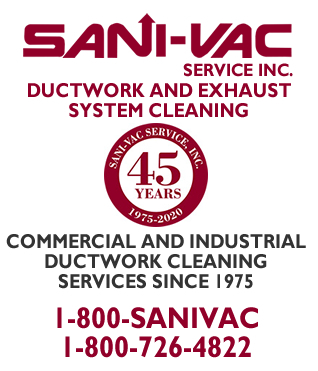 SANI-VAC performs quality, value-oriented service work for commercial, industrial, and institutional HVAC units, air duct, and kitchen exhaust cleaning applications with state-of-the-art equipment. 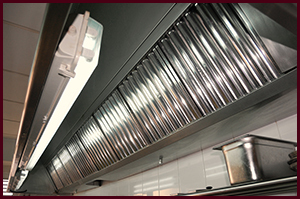 Our technicians can restore your ductwork or exhaust system to a clean and healthy state. 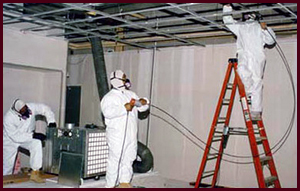 We have extensive experience and training in the proper methods of containment and source removal in H.V.A.C. systems. SANI-VAC Service Inc. has provided quality HVAC cleaning and commercial kitchen exhaust degreasing services for many industries including Hospitals, Schools, Condos, Apartments, Restaurants, Retail Stores, Government Buildings, Manufacturing and Industrial sites, Factories, High rise buildings and many more. We would like the opportunity to serve your commercial, industrial, or institutional HVAC cleaning needs, if you have any questions please call us at (800) 726-4822.